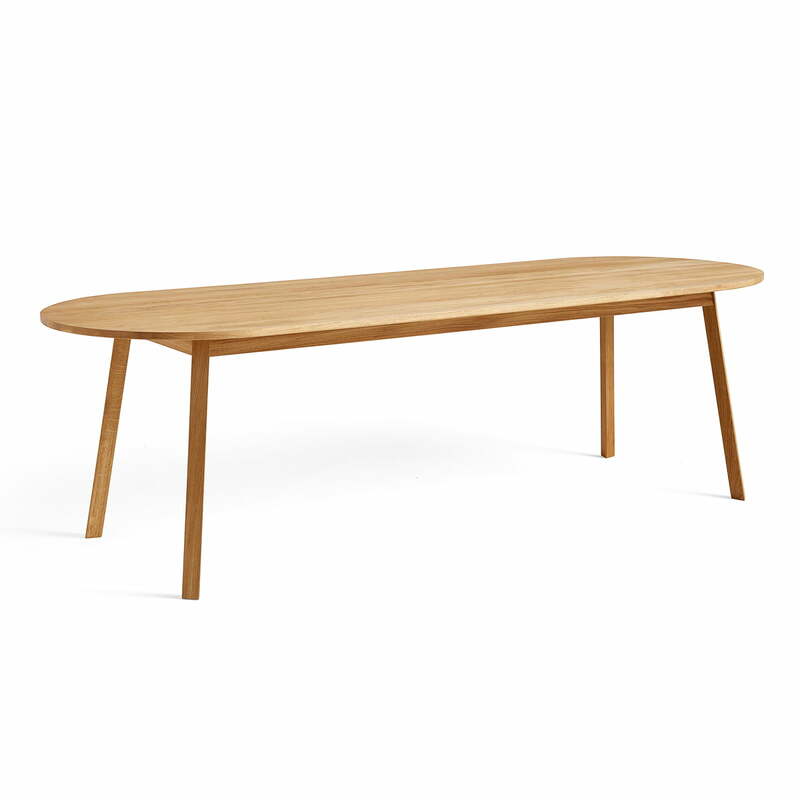 The Triangle Leg dining table by Hay Studios is a design by Simon Jones and is characterised by a mix of soft and angular lines. With a generously designed tabletop measuring 200 x 85 cm, 8-10 can be seated together in a relaxed atmosphere. Due to its oval shape and rounded edges, nobody has to sit at the head or on the corner of the table, creating a sense of unity. As a contrast to the softly contoured tabletop, the legs of the Triangle Leg table are more angular. Shaped like a triangle—as the name already reveals—both elements come together in a harmonious way. 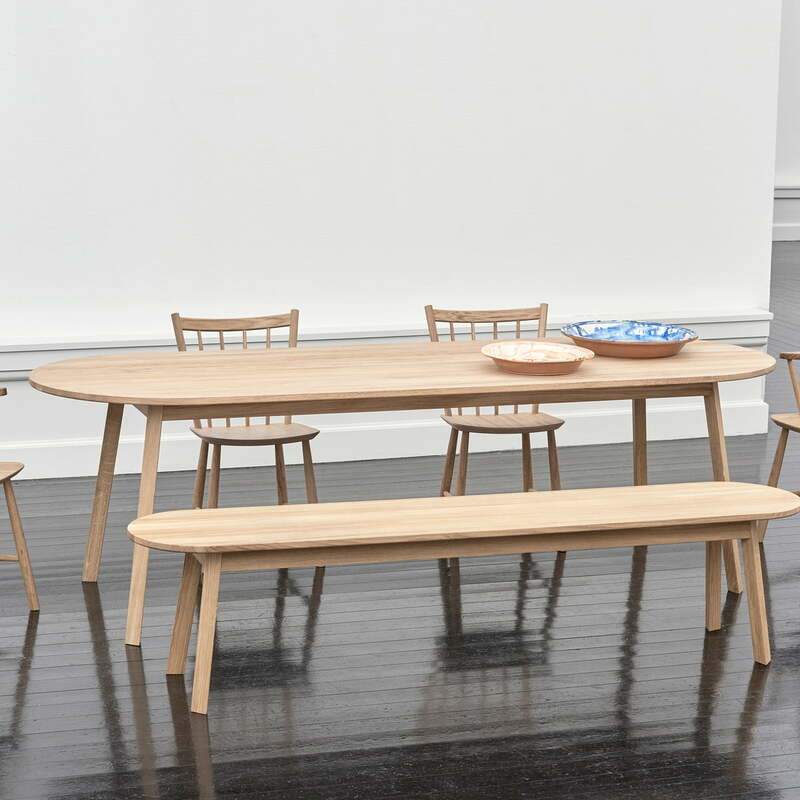 The Triangle Leg dining table is made from solid oak and is available with various finishes (oiled, soaped or clear varnish). The wood gives the table a natural touch that can be perfectly introduced into any environment. Thanks to its form, it can be freely placed in any room and is a great eye-catcher, whether in the dining room, living room or kitchen. The matching Triangle Leg bench is available separately. 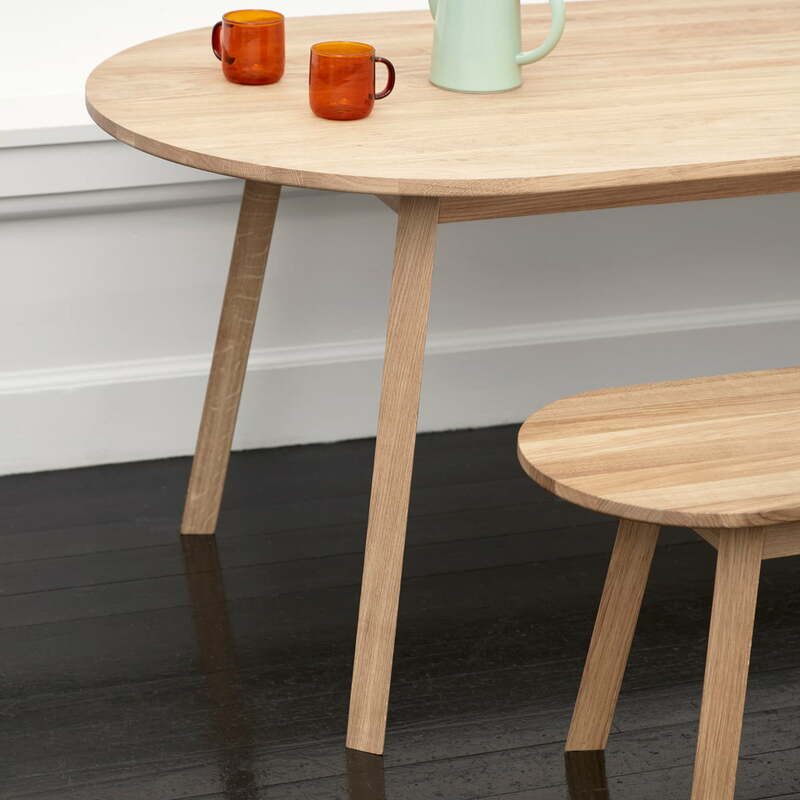 Isolated product image of the Triangle leg dining table and bench by Hay: As a contrast to the softly contoured tabletop, the legs of the Triangle Leg table are more angular. 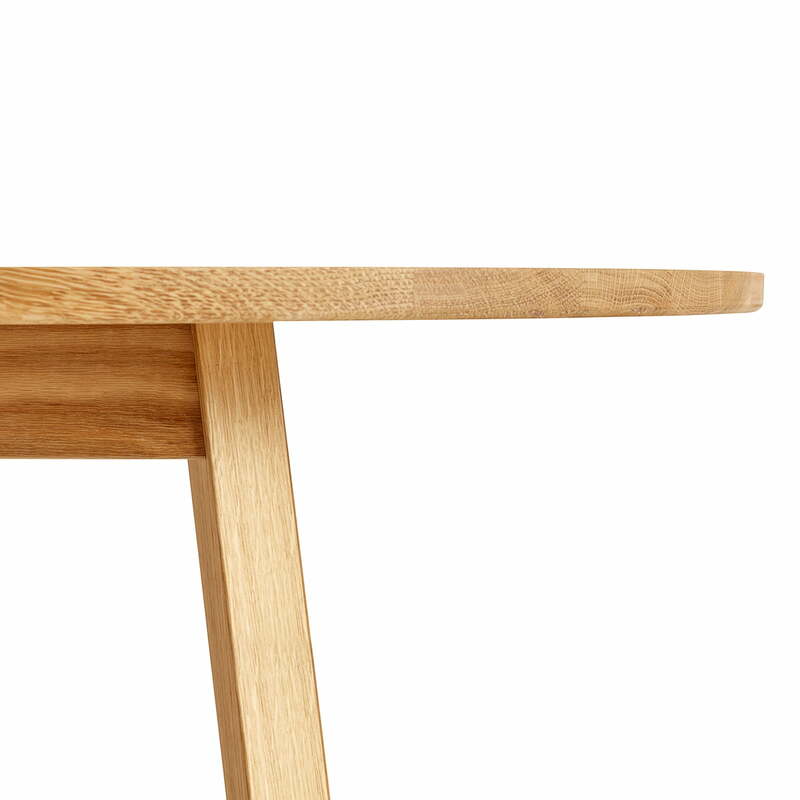 Detail product image of the Triangle Leg dining table. The Triangle Leg dining table is made from solid oak and is available with various finishes (oiled, soaped or clear varnish). Lifestyle product image: Thanks to its form, it can be freely placed in any room and is a great eye-catcher, whether in the dining room, living room or kitchen. 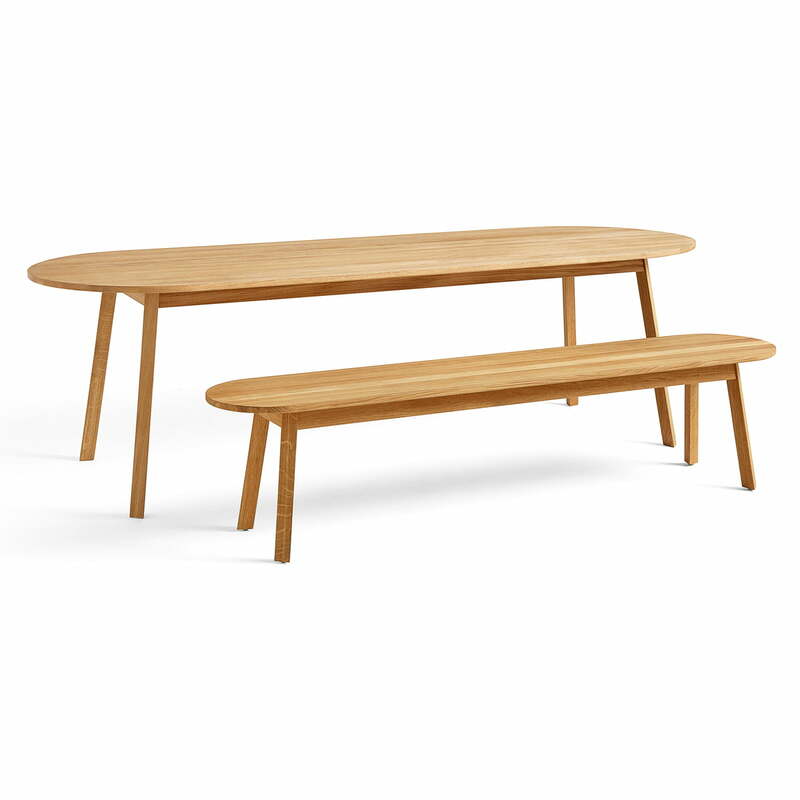 Lifestyle product image of the Triangle leg dining table and bench by Hay: The wood gives the table a natural touch that can be perfectly introduced into any environment. 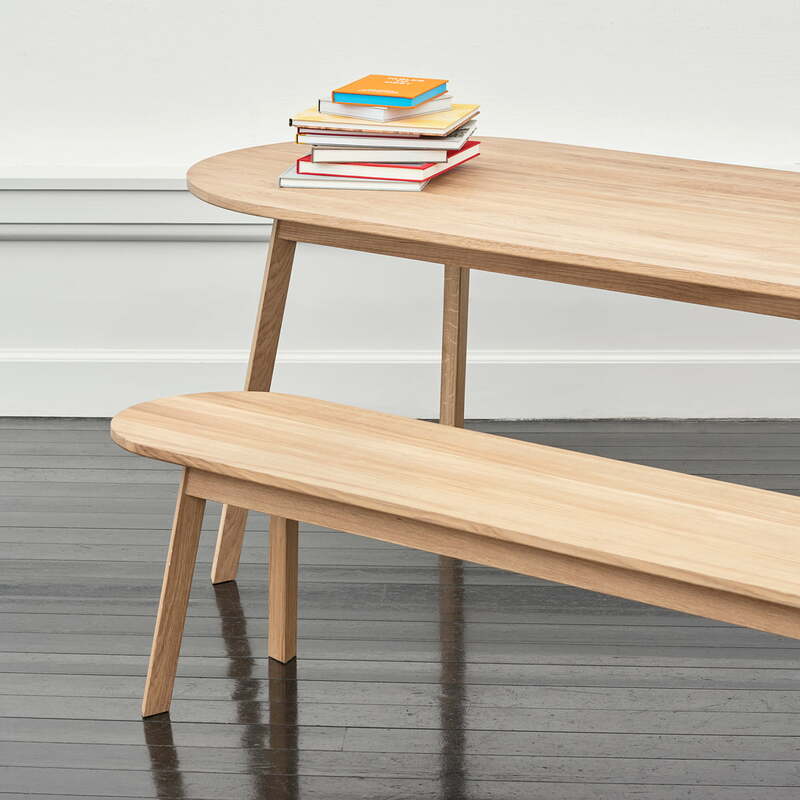 Triangle leg dining table and bench by Hay: Due to its oval shape and rounded edges, nobody has to sit at the head or at the corner, creating a sense of unity around the table.